Who can you trust in business? Who can you rely on? Who can you promote to an important position or more importantly who will seek to undermine your actions. This is a skill you can learn and it's covered in L. Ron Hubbard's book of human behavior: Science of Survival and his How to Evaluate & Predict Human Behavior lecture series specifically for business-people. WISE Member Charter Committees have been bringing ethics and sanity to workplaces for more than 15 years. Utilizing the world-renowned ethics and administrative technology and procedures of humanitarian L. Ron Hubbard they provide an alternative dispute resolution procedure which boasts an unprecedented success rate. Charter Committees also guide others in exact ethics procedures which allow an individual to make the correct decisions and become more productive, successful and happier in their careers and lives. 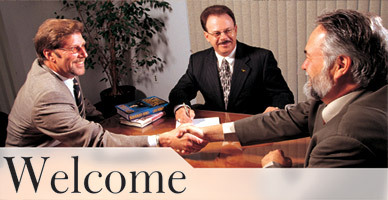 They offer services to professionals, business owners and employees alike. What assistance or information are you looking for? We have enhanced our Member Area with a number of new features. Log in and find out what's new! This brochure gives you full details on all the benefits and activities of the Charter Committees. To download the brochure click on the link below.